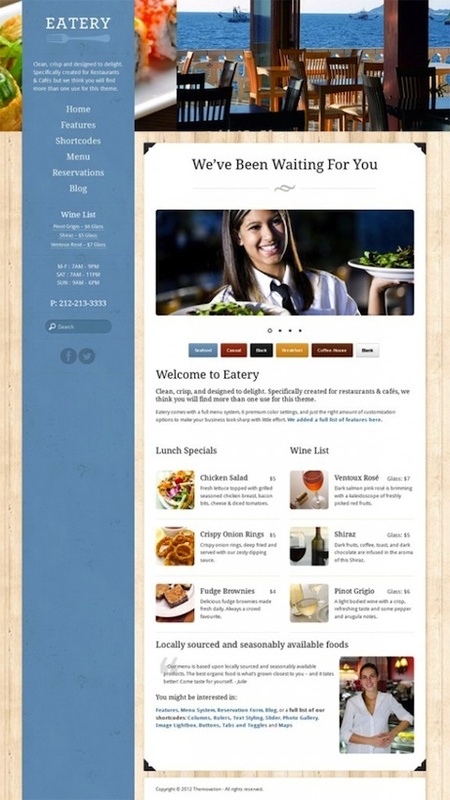 Eatery is a premium Restaurant WordPress theme created for restaurants and cafés. It features a very clean, responsive design that is perfect for creating a professional image of your restaurant or business. It’s easy to customize with awesome features (like 6 beautiful theme skins!) and has plenty ofeasy to use shortcodes and tools. Eatery is also fully compatible with WPML – The WordPress Multilingual Plugin.